For gluing rooted hair inside the head. Used in our DVD for gluing rooted hair inside the head. When you go to all that work of rooting hair in your precious little creation you certainly don't want it to fall out. 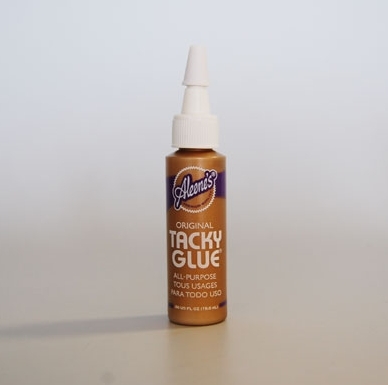 Tacky glue is one of the recommended glues used by professional reborners. Easy for gluing the roots of rooted hair, eyelashes and other delicate items. Tacky glue dries clear and flexible. This glue has been used for many years by the doll making industry. It's clear, water-soluble, stays flexible and holds well. If you would like to learn how to use this glue most effectively see our DVD training series, "The Art of Newborning."